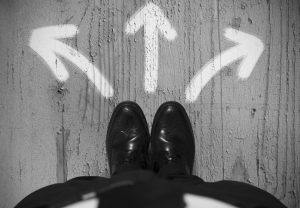 As life gets busy, it’s easy to let your profile slip through the cracks — especially if you aren’t actively looking for a new job. 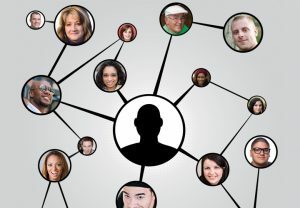 However, if you are using the site as a way to connect with other professionals, ensure those people know what you do and how good you are it. – Make sure that the industry you work in is correct, as well as your location. By keeping these current, it will help people find you. – Creating a professional headline is what entices people to click on your profile and learn more about you. While it’s perfectly acceptable to have a headline that highlights your current job position, you can also be creative. Do you have an accomplishment or award you’d like to highlight? This could be the place. Or list traits that would show up in a search. Whatever you decide, make sure it is something that makes people want to learn more about you. – Keep your profile active by sharing high quality articles related to your industry as frequently as possible on your LinkedIn profile. 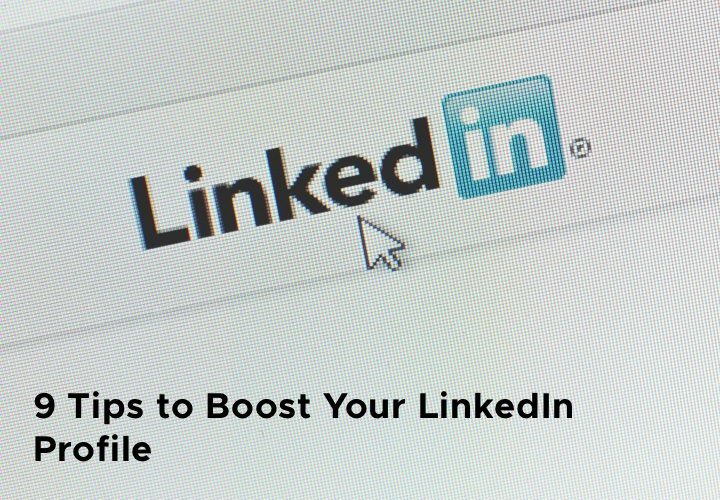 Most of the websites have ‘Share’ buttons these days, and you can click on the LinkedIn share button to post that article directly on your profile. Remember ‘Activity’ is the first section that is shown on your LinkedIn profile. The kind of articles shared by you showcase your interests, knowledge and tell the viewer if you are up to speed with the latest happenings in your industry. Yes, LinkedIn is a social site, but it’s a professional social site, so don’t put up photos of yourself with your pets or family or doing shots at the bar — these are better left to Facebook. It is said that a picture is worth a thousand words, and the right picture can lead to your profile getting more views. If your profile looks like everyone else’s profile, it’s going to get lost in the shuffle. By adding a background photo, you add a touch of personalization and make it stand out from the rest. Again, this needs to be something professional, but it can also show off your personality or highlight part of your profession. In a way, LinkedIn is an electronic version of your resume, but it can be leveraged as so much more. You have the ability to highlight more of your accomplishments here than you do on paper. Write in the first person on this page, and let your personality show through while you talk about what makes you good at your job. Don’t add a lot of jargon and buzzwords. It shows a lack of creativity. Watch out for grammar issues. Nothing looks more unprofessional than mistakes on your page. Use keywords correctly. This will help others find you when conducting a search. Don’t get too personal, but let people know there is a person behind the business. Share some things you like to do in your free time or what you’re passionate about. 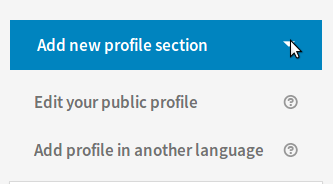 If you work with charities or volunteer, add those to your profile — LinkedIn has sections for you to do this. 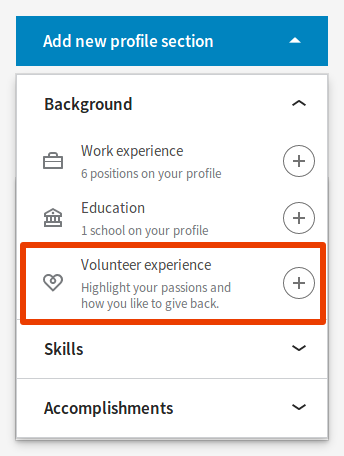 To add your volunteer experience to your profile, go to the Add New Profile section, which is on the right-hand side of your page. That will open a new menu that will allow you to add your experience to your page. LinkedIn offers you the ability to add media to your descriptions. It’s already been mentioned that a picture is worth a thousand words, so how many is a video worth? Or what about a document that highlights your achievements? Adding media to your profile could make your profile stand out from others and increase the number of people viewing it. It allows you to showcase your creativity. I have added various posts that highlight my writing. Decide which section you would like to add the media to — Summary, Experience or Education — then click on the pencil icon to get into the edit mode. When the dialogue box pops up, the Media option will be at the bottom of the page. 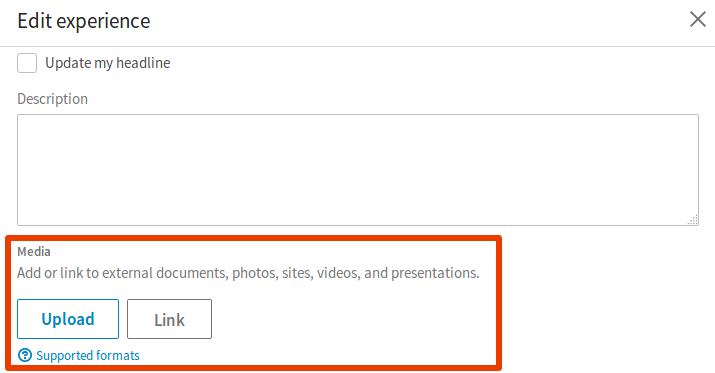 Click the box to add a link or upload a document. To add a link, paste it into the dialogue box and then click Add. LinkedIn now offers the ability to write and publish on their platform. Make sure the content is appropriate for what you are trying to highlight, but this gives you the opportunity to talk about your industry and what you do. You can also link a WordPress blog to your profile. This is how the ‘Articles & Activity’ section shows up on your profile. One of the best ways to find others who think like you do and who talk about the same subjects is to join groups. This allows you to make connections in your field and find out what others are up to. It will also help you create leads for your business. At the top of your profile page is an icon called Work. Click on the arrow to open the dropdown icon, then select Groups. 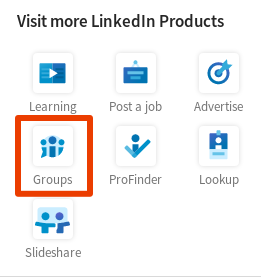 After clicking on the Groups icon, it will take you to a new page. Once there, click on the Discover button to see groups suggested for you based on your profile. Once you find a group you’d like to join, request access by clicking on the “Ask to join” button. The purpose of LinkedIn is for you to highlight your professional skills and network with like-minded people. As with any social group, it’s important to be nice to others and excited about being there. Your enthusiasm and excitement will draw in others and widen your professional network and business contacts. With so many social sites on the web, it can be difficult to get noticed and find others who share your interests and passions. Keeping your LinkedIn profile up to date, interesting and discoverable by others will increase your chances of being found. It could also land you that dream job you’ve been looking for. p.s. 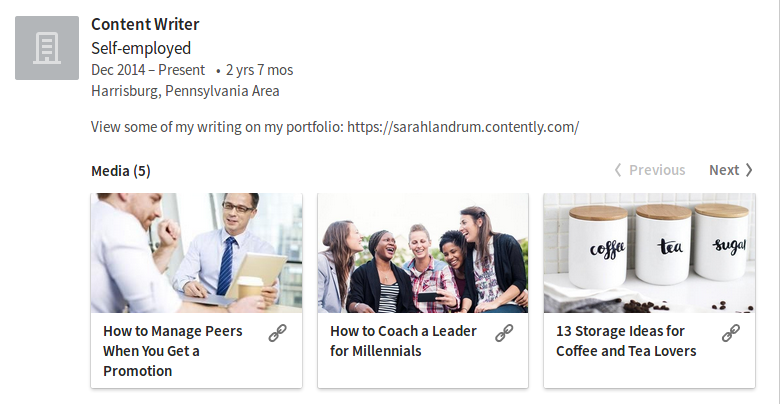 You can convert your LinkedIn profile to a beautiful resume quickly using Resumonk.